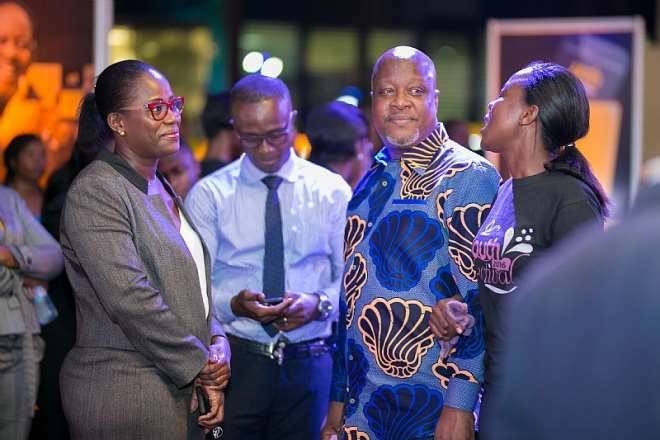 Universal Merchant Bank (UMB), stemming from their innovative use of technology and distinctive banking solutions has introduced UMB SpeedApp, a mobile banking application which is available on iOS, Android and Windows mobile devices. Optimized for a seamless, intuitive experience, the UMB SpeedApp allows users to buy airtime, check account balances, monitor transactions, perform cardless cash withdrawals at any UMB ATM, request and track loans, transfer funds instantly to UMB and other domestic accounts, pay bills swiftly via Scan & Pay and more – all from the palm of their hand. 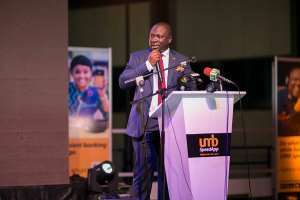 Speaking at the launch of UMB SpeedApp, Chief Executive Officer of the bank, Mr. John Awuah said UMB is changing the way consumers interact with the bank by altering payment for everyday purchases and transforming banking in a way never before seen. Mr. John Awuah hinted that the bank is primed to become the leading service provider in the digital mobile banking space in Ghana, especially, as banking shifts to become increasingly mobile and digital. 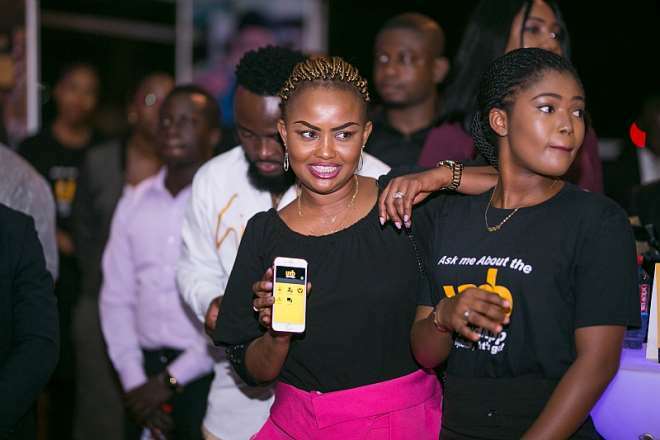 “We anticipate that UMB SpeedApp will attract most of our retail customers as well as non-customers who use mobile money and boost the spread of our full products and services offering”, Mr. Awuah added. He noted that this addition to UMB's technology suite demonstrates the bank's initiative in building the most avant-garde digital mobile banking experience for consumers - as UMB SpeedApp is a key element of the bank’s digitalization strategy for 2018 and beyond. Mr. Kevin Cain, Director Consumer and Business Banking, UMB Bank said available statistics indicate that more and more Ghanaians are accessing information on-the-go and getting things done using their smart mobile devices. “So, it is essential that we stay ahead of the curve in adding cutting-edge technology, such as this new mobile banking app, that will make banking experience stress-free, convenient and productive for consumers of all ages”, Mr. Cain concluded. After a successful beta testing phase with over 500 users, this all-mobile banking experience offers a more convenient and efficient channel for UMB customers and non-customers to discover the many different banking transactions and requests that are available for smartphone users. The mobile banking application, UMB SpeedApp, provides a highly secure platform with a broad range of features compromising products and services the bank, typically, offers in-branch. Contact Sync – Service available for Android users (not available on iOS & Windows phones) & enables activated clients to swiftly and seamlessly transfer funds automatically from the recipients contact menu tab by clicking the contact sync tab. Cardless Withdrawal Services – Mobile app facilitates cash withdrawal from the any UMB ATM without using a card but with a special token conveniently. Funds Transfer – Users can conveniently transfer fund instantly to any UMB account as well as other domestic banks. Bancassurance Services – Our Customers have the opportunity of signing up and also paying for their insurance premiums as well as using all our Bancassurance services. Mobile Money Transfers (Push & Pull Facilitation) – Customers can conveniently transfer to and from their account to their Mobile money wallets and vice versa on all networks. Investment Request & Enquiry Services – Our customers can conveniently request and enquire on our Banks investment services. Loan Request & Enquiry services – Our Customers can conveniently request and enquire on our banks loan services. Bill Payment Services – Customers on the Mobile Banking & Mobile Wallet Services can conveniently pay for their Bills & Allied utilities. Airtime Top Up - Customers can top up their Airtime from the account across all mobile networks. Agency Banking Service – Customers have the convenience of walking into our Agent outlets to deposit and/or withdraw funds and make bill payments. Mobile Wallet Service - Customers & Non Customers can save deposits on their UMB Mobile wallet and receive commensurate interest on their mobile wallet deposits within set thresholds. Scan & Pay Service (QR Code) – Make seamless payments with the scan of the generated QR code or by keying customers account number. It facilitates secure and swift payments for goods and services conveniently and efficiently.